from artists at Goldsmiths, University of London. A week-long showcase of sound installations, soundscape compositions, moving image work and evening events, alongside exhibition rooms exploring the work of pioneering British musician Hugh Davies, the life of Daphne Oram, co-founder of the BBC Radiophonic Workshop, and the poet and visual artist Lawrence Upton. Friday 21 September — Thursday 27 September 2012. St. James’s Hatcham Church, New Cross, London. Supported by Goldsmiths Sound Practice Research. 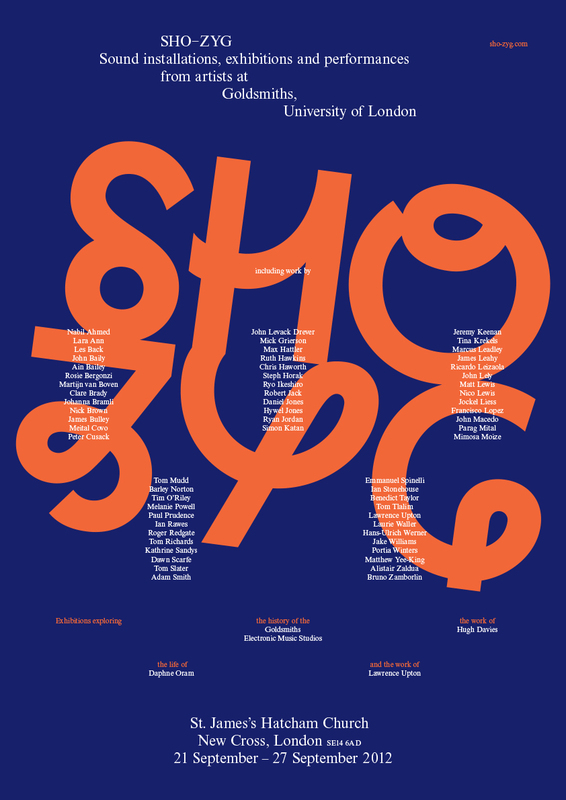 Curated by James Bulley & Kathrine Sandys.